For decades I’ve been helping my patients enjoy healthier blood sugar with a unique approach that’s completely contrary to conventional medical wisdom. Now, for the very first time, the centerpiece of my healthy blood sugar protocol is available to you. “Mainstream medicine has badly missed the mark on keeping your blood sugar healthy… leaving you and millions of Americans unnecessarily at risk. 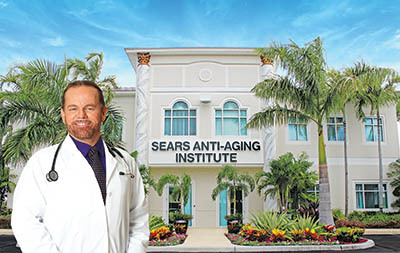 More than 20,000 patients from 23 countries have sought treatment at the Sears Institute for Anti-Aging Medicine in South Florida. Dr. Sears has appeared on ABC News, CNN, ESPN and over 50 national radio programs. He is a member of the American Academy of Anti-Aging Medicine and is board-certified in anti-aging medicine and clinical nutrition. 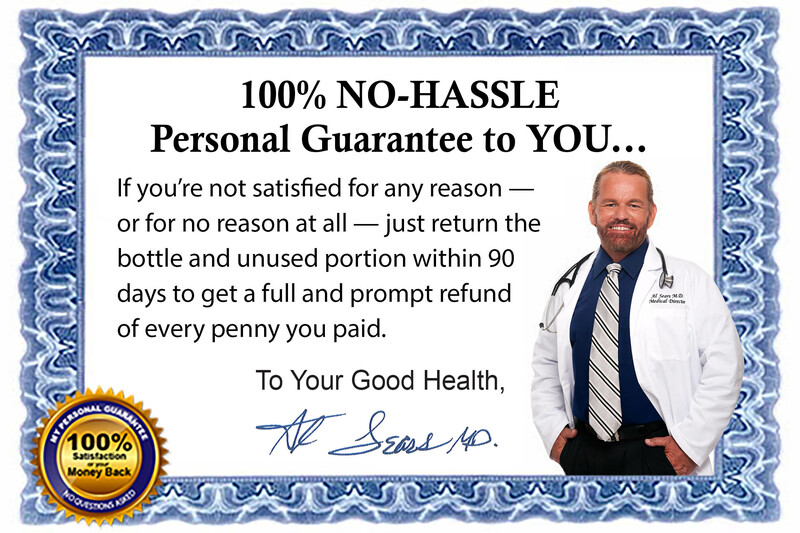 Dr. Sears has authored thousands of articles and 35 books and special reports on natural medicine… writes and publishes two monthly e-newsletters, Confidential Cures and Anti-Aging Confidential for Women… and a daily email broadcast, Doctor’s House Call, with more than 500,000 subscribers. Dr. Sears reveals the centerpiece of this “Healthy Blood Sugar Protocol” — a new natural pill called RECOVERY: Metabolic Rescue. 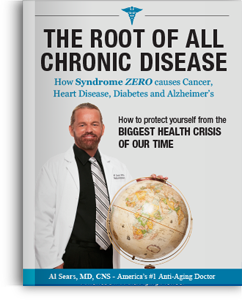 It includes the same specialized minerals, herbs and nutrients he uses with his patients to help them overcome Syndrome Zero and enjoy healthier blood sugar, for life. Now, for the first time, RECOVERY: Metabolic Rescue is available to you. A dietitian will tell you to eat low fat. WRONG! As you’ll see, eating low fat makes blood sugar problems worse, not better! A blood sugar specialist will tell you to increase “cardio” or “aerobic” exercises. HOLD ON! I’ll tell you why these exercises do nothing for your blood sugar and cause additional health problems. A doctor will tell you to cut out all sugar and starches. NOT SO FAST! These sacrifices alone won’t do the trick. Most everything they’re telling you for better blood sugar is not only not helpful — it could actually be harmful. Yet for decades, I’ve helped my patients get healthier blood sugar and enjoy super health the natural way… without worry. My approach for healthy blood sugar is not just different. It’s exactly opposite of what the Medical Establishment tells you to do. My contrarian view for healthy blood sugar is not just a whim. It’s based on mountains of science, clinical studies and proven results for my patients, and now, it can do the same for you. How? It starts by you knowing the TRUTH about balancing healthy blood sugar that flies in the face of conventional medicine. >> Blood sugar concerns are not caused by too much sugar, but by too much insulin. Mainstream medicine says you can fix blood sugar concerns by cutting out most or all of the sugar you’ve been consuming. The fact is, the real cause of blood sugar issues is an overproduction of insulin, which leads to worn-out beta cells in your pancreas… insulin resistance… skyrocketing blood sugar… and increased risk of a heart or brain disaster. For healthier blood sugar, you must keep your insulin levels healthy — and I’ll show you the best, natural way to do this. >> Blood sugar concerns have little to do with eating too much fat, but everything to do with eating too many carbs. Eating “low fat” to fix your blood sugar woes won’t work. Why? The food industry produces tons of low-fat products, but because they taste so bland, they’ve added sugar. So they’ve replaced dietary fats with massive amounts of sugar and loads of refined carbs. So if you eat low fat, you’ll eat more carbs. The more carbs you eat, the more insulin you’ll secrete, the more fat you’ll form and the more carbs you’ll crave. To fix blood sugar issues, you must reduce carbs, not fat. >> Blood sugar can be kept at healthy levels the natural way. The Medical Establishment wants you to get on their “train” to try to solve your blood sugar worries. But theirs is not a long term or safe solution. There’s a better way for you to enjoy healthier blood sugar… normal levels of insulin… supercharged energy… and easier weight loss* with my all-natural, healthy blood sugar protocol. Now, for the first time, the centerpiece of my protocol — a new natural pill called RECOVERY: Metabolic Rescue — is available to you. The result? Healthier blood sugar… supercharged energy… and easier weight loss*, for life! The proof? Bizarre fruit keeps fasting and post meal blood sugar healthy in an astounding 86% of cases. Gives you great glucose, safely and naturally, free of harmful side effects. If you want to end the blood sugar nightmare, the first thing you need to do is make sure you keep your blood sugar at healthy levels. This is critical because as you know, uncontrolled blood sugar is bad for your heart… your blood vessels… your nerves… your eyes… and even your brain. The good news is, I’ve come across powerful minerals, herbs and nutrients that keep your blood sugar at healthy levels, yet in a safe, natural way. 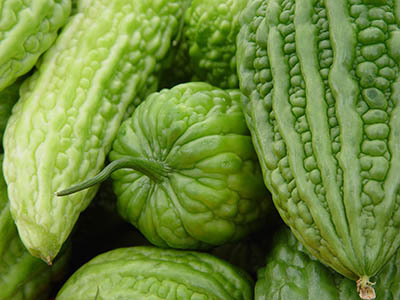 One of my favorite nutrients for healthier blood sugar is the bizarre-looking fruit bitter melon, prized as food and medicine in Asia, the Caribbean and South America. This is a bigger problem than just blood sugar problems, Metabolic Syndrome or Syndrome X. We’re at “Ground Zero” of a health crisis like no other. Yet new breakthroughs in natural medicine now make it possible for you to supercharge your health — safely and naturally. Bitter melon helps support healthy blood sugar levels by improving glucose tolerance — the ability of your cells to absorb sugar and lessen the amount of sugar in your blood. In one study conducted in India, 100 subjects drank bitter melon pulp. No wonder the British Medical Journal reports, “Bitter melon improves glucose tolerance” … and The Foundation of Diabetes Research adds that bitter melon works as fast as five hours for keeping blood sugar healthy. This is why bitter melon is the first key nutrient in my new RECOVERY: Metabolic Rescue formula. The black seeds of this plant, which look like black sesame seeds, are packed with healing compounds and have been used for centuries by natural doctors. They caught my attention because of a study conducted in India. 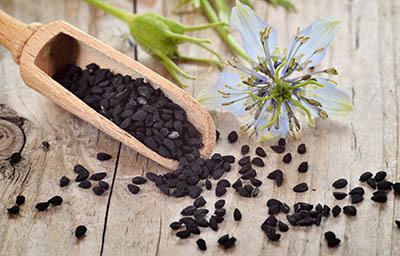 Patients took high doses of Black cumin — and the results for their blood sugar were stunning. Besides keeping your daily fasting blood sugar levels healthy, you also want great hemoglobin A1c (HbA1c) levels. This is the measure of your blood sugar over the past six to eight weeks. According to Emedicinehealth.com, having high HbA1c indicates poor blood sugar control. 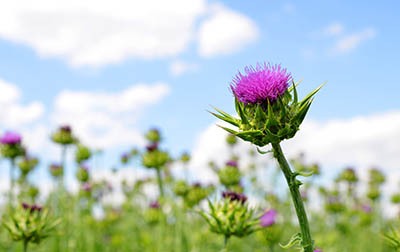 In a clinical study, 51 patients took either Milk thistle plus their conventional therapy or a placebo plus conventional therapy every day for four months. I’m also a big fan of cinnamon for normalizing healthy blood sugar. The winner? Cinnamon. Turns out it’s rich in substance called MHCP, which is shown to support glucose metabolism by 20 times — all to give you healthier blood sugar. No wonder researchers of that study concluded that cinnamon helps reduce worries about blood sugar. As a medical doctor, I can tell you that losing a few pounds can go a long way in helping you enjoy healthier blood sugar. A study at Johns Hopkins University confirmed this. In this study, patients lost 5-7% of their total weight over a six-month period. If you weigh 150 lbs., shedding 5% means losing 7.5 lbs. If you weigh 200 lbs., shedding 5% means losing 10 lbs. These are the special nutrients my patients have been taking for years for healthier blood sugar — and now, they’re available to you in my exclusive new RECOVERY: Metabolic Rescue. Taking it every day can mean great fasting, post meal and HbA1c blood sugar — all with a safe, natural pill. I’ll share with you some of the easiest tips for shedding weight in a Special e-Report, Dr. Sears’ High-Speed Fat Loss in 7 Easy Steps. It’s yours FREE when you order the best deal of RECOVERY: Metabolic Rescue. While using an ancient herbal medicine to treat another health problem, Chinese doctors discovered its power to considerably keep blood sugar healthy. 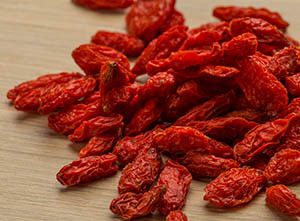 It’s berberine, a plant phytonutrient extracted from a number of medicinal herbs, such as barberry and goldenseal. In China, it’s prized for great glucose. Modern sciences verifies its blood sugar regulating power. Evidence-Based on Complementary and Alternative Medicine says, “Berberine appears to be effective” for keeping blood sugar in the normal range. This is why I’ve included berberine in the new RECOVERY: Metabolic Rescue formula. Recent gene research has revealed that uncontrolled blood sugar is not an irreversible problem. It’s now possible for you to turn your genes “on” or “off”. Sound impossible? Let me tell you about one patient’s success story. 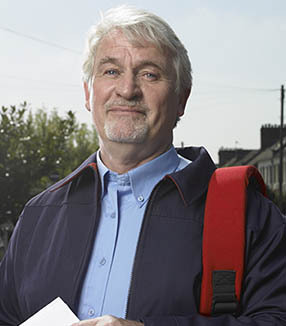 He’s a middle-aged letter carrier named William. William had been concerned about his blood sugar for years — and believed he’d be stuck using conventional treatments for the rest of his life. Then he came to see me, and what happened next is truly remarkable. I found out that William loves to eat carbs. He told me with every meal, he’d eat potatoes or mounds of bread. The fact is, he’s been eating starches his whole life. His doctors had told him to avoid sugar but not starches, and all those starches turned to sugar. This forced his body to adapt to an overload of sugar. William consumed high starches, which stimulated more insulin in his body — more than he could tolerate. A disaster! I told him to quit eating so many starches and carbs and instead eat lots of specialized, low glycemic, high-protein foods. And I changed his exercise to focus on big muscle groups, like legs and back, which burn off more sugar that other muscle groups. The result? Before he knew it, William “reset” his blood sugar… and his blood sugar and insulin stayed at healthy levels — all safely and naturally. This mighty mineral, proven in 15 studies, keeps your body’s insulin at healthy levels. The result? You’ll enjoy great glucose and easier weight loss*. To end the blood sugar nightmare, you also need to make sure you have healthy insulin. As you know, insulin is the hormone that controls your blood sugar. It’s also known as the “fat storage” hormone. Insulin is made in your pancreas and shuttles sugar from your blood into your cells for storage. If you’re worried about your blood sugar, chances are good you crave carbs like chips, pizza, crackers, bread and muffins. But be warned: foods like yogurt, fruit snacks and iced coffee are also laden with hidden carbs. The problem is, eating carbs makes you crave more carbs, which makes weight loss difficult, if not impossible. When you eat carbs, high insulin levels trigger the part of your brain that regulates hormones, called the hypothalamus. This sends out a hunger signal… so you crave more carbs. Now, you have help. Chromium picolinate found in my new RECOVERY: Metabolic Rescue curbs carb cravings. But when your blood sugar rises above normal after a meal, your pancreas goes on “high alert” to lower it. So it makes more and more insulin. Wears out the beta cells in your pancreas that produce insulin. Causes your cells to be resistant to the insulin’s effects. This triggers your pancreas to make even more insulin, creating a vicious cycle. Makes weight loss nearly impossible. Too much insulin turns extra carbs into fat, not energy, and you can’t lose weight even if you starve yourself. Makes you always feel hungry, craving sweets and carbs. One of the best ways to keep your insulin in the “safe zone” is to take magnesium. Magnesium helps keep your insulin and blood sugar stable, plus it activates an enzyme that’s required for your insulin receptors to work as they should. This is why magnesium plays a vital role in preventing too much insulin. The fact is, low magnesium sets the stage for elevated insulin and high blood sugar. Shockingly, 80% of Americans are likely deficient in magnesium. Could this be the reason so many people have blood sugar concerns? RECOVERY: Metabolic Rescue also includes Chromium picolinate, a mineral critical for healthy insulin function and accelerated weight loss. Effortless weight loss? Pigs don’t lie. 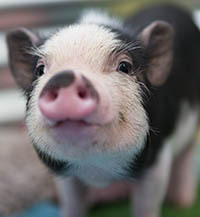 In one study, commercial pigs had Chromium picolinate added to their diet. Nothing else was changed. Then their fat reduction was measured. Chromium makes your cells more receptive to the action of insulin. It helps insulin take sugar and turn it into energy, not fat. The result? You decrease insulin production and insulin levels. As this happens, your body doesn’t take sugar from your bloodstream and store it as fat. This is why, as a bonus, chromium also helps you slim down, which in turn helps support healthy blood sugar. In a study, one group of people used diet, exercise and a supplement that included chromium or diet, exercise and a placebo to see which group lost more weight. Want healthier blood sugar and easier weight loss*? Then you need to keep your insulin at healthy levels with my RECOVERY: Metabolic Rescue formula. How much difference can a low-carb diet make on your blood sugar levels? A huge difference! In one study, patients ate two different diets. For the first eight weeks, they ate a diet with 55% of calories from carbs — very similar to the average American diet. Then they switched to a diet with 25% of calories from carbs. Another key nutrient in my RECOVERY: Metabolic Rescue formula is turmeric. This sensational spice contains an active ingredient called curcumin — and has been prized by natural healers for its strong antioxidant and anti-inflammatory properties. Turmeric is one of my all-time favorite nutrients, especially for healthy blood sugar, for two reasons. One, it helps keep blood sugar under control. 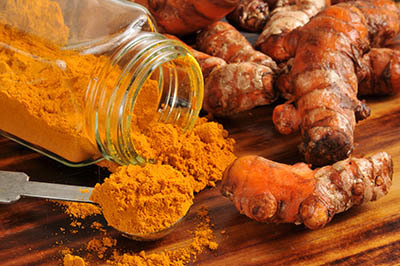 In a study jointly conducted in Brigham and Women’s Hospital in Boston and at Sirindhorn Medical Center in Thailand, people took curcumin or a placebo daily for nine months. Two, curcumin is great for healthy blood sugar. My research has revealed that people with healthy blood sugar as they age are more likely to have healthy brain and memory functions. Why? One main reason is insulin resistance in the brain. When insulin is deficient in your brain, the result is cerebral dysfunction, inflammation and oxidative stress. 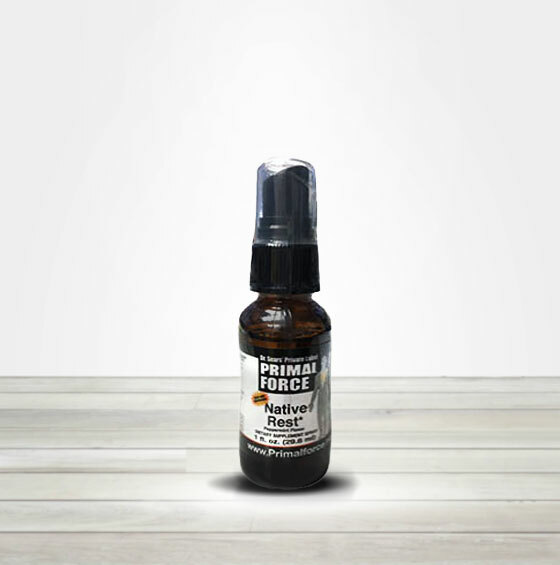 Now, you can support healthy insulin function with RECOVERY: Metabolic Rescue. According to the Mayo Clinic, blood sugar issues can wreak havoc on your nerves — and unwanted side effects. To help support healthy nerves and circulation, I’ve included Alpha-lipoic acid in RECOVERY: Metabolic Rescue. Alpha-lipoic acid has been shown to keep nerves and circulation healthy. As you can see, RECOVERY: Metabolic Rescue goes far beyond healthier blood sugar — it supports great health, too. Holistic herb powerfully restores insulin-producing cells and powers up insulin function. Enjoy healthy blood sugar and more youthful, supercharged energy. To end the blood sugar nightmare, you also need to repair and restore the cells in your body that make insulin and help insulin function as it should — all to give you great blood sugar and youthful energy. These cells, called beta cells, are found in your pancreas where they secrete and release insulin. The problem is, if your blood sugar rises after a meal, your pancreas creates more and more insulin. Overtime, this depletes and damages your beta cells, crippling your pancreas, and making you insulin resistant. Shockingly, people with serious blood sugar problems have lost as much as 70% of their beta-cell mass according to diabetesdietcures.net. After extensive research, I made sure my new RECOVERY: Metabolic Rescue includes the herb Gymnema sylvestre. For more than 2,000 years, this herb has been used for healthy blood sugar in the Holistic system of healing known as Ayurvedic medicine. In Hindi, it’s known as gumar — the “destroyer of sugar.” This is because chewing on its leaves interferes with your ability to taste sugar. Gymnema sylvestre decreases the sensations of sweetness of many foods and curbs cravings. But I especially like it because of its positive effects on your insulin producing beta cells. 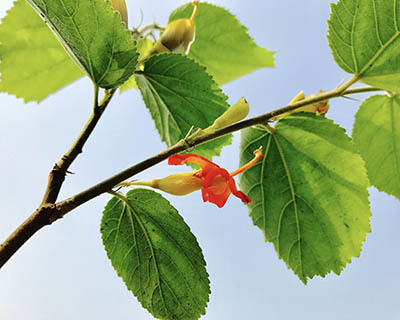 In one study, 22 patients took 400 mg of Gymnema sylvestre along with their doctor’s advice every day for 18-20 months. During this time, the patients showed significant support for healthy blood glucose and HbA1c. My new formula goes beyond the ordinary because it also includes vanadium, a little-known trace mineral for healthy blood sugar. In addition, people taking vanadium had very positive results. Forget “cardio” and “aerobics.” This is the secret to abundant energy. For better blood sugar and more energy, you may have been told to do more “cardio” or “aerobic” exercise. Wrong! Long duration cardio exercise mimics prolonged stress and breaks down vital cardio pulmonary reserves. In fact, cardio workout more than 15 minutes are a waste of time and cause additional health problems. You also don’t need long duration exercises at an aerobic level. Research shows that shorter, “supra” aerobic exertion works better and controlling and reversing insulin resistance. One of the best workouts for restoring healthy blood sugar and avoiding diabetes is to work your back and leg muscles. These are your biggest muscles, and working them demands more energy. The result? You burn more blood sugar, get stronger and re-energize your body. Plan your workouts to last 15 to 20 minutes then switch between periods of rest and high intensity bursts. 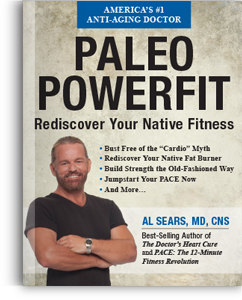 Find out more about the best exercises for healthier blood sugar and restored energy in my Special e-Report: Paleo Powerfit: Rediscover Your Native Fitness. It’s yours FREE when you order the best deal of RECOVERY: Metabolic Rescue. Plus, as mentioned my RECOVERY: Metabolic Rescue includes magnesium, which also helps maintain healthy insulin sensitivity. In one study, magnesium or a placebo was given to healthy patients with insulin resistance every day for three months. Bottom line: You can improve insulin sensitivity and insulin resistance, plus rejuvenate and restore your insulin-producing cells — all to flood your body with youthful natural energy — with RECOVERY: Metabolic Rescue. It’s a medical fact: If your insulin-producing beta cells are working well… if you improve insulin sensitivity… and if your blood sugar is healthy, you’ll feel more energized. Here’s why: High insulin prevents your body from burning stored fat for energy. So you feel lethargic, tired and run down. What’s more, if your cells resist insulin your body makes, glucose can’t get in… and you have no energy. Great news! RECOVERY: Metabolic Rescue contains nutrients that help move blood glucose from your bloodstream into cells for energy. Plus, they help turn fats, carbs and proteins into energy. RECOVERY: Metabolic Rescue also makes your insulin more efficient as it helps insulin take sugar and turn it into energy. At my clinic in South Florida, I’ve been helping my patients enjoy healthier blood sugar… super energy… and easier weight loss* with a variety of minerals, herbs and nutrients. Yet I know if you tried to take all of these nutrients separately, it would be costly and time-consuming. So I’ve combined the best of these nutrients into one new formula, RECOVERY: Metabolic Rescue. get a FREE Bottle plus receive other FREE Gifts! 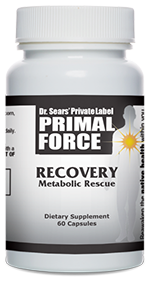 Because the special herbs, minerals and nutrients found in RECOVERY: Metabolic Rescue have been so effective for my patients, I want to make this new formula available to you with a special introductory offer. >> Two bottles of my new RECOVERY: Metabolic Rescue at 33% savings off the regular price. The real reason why it’s so hard to beat fatigue, lose weight and control high blood sugar, cholesterol and triglycerides. Ever eat a plate of pasta or an extra piece of bread? Proceed at your own risk. Why high blood sugar is only the tip of the iceberg of multiple health problems. The shocking truth about insulin — and why overproduction makes losing weight almost impossible. The No. 1 reason many people are fatigued — and an unconventional solution. Fix one thing and enjoy healthier blood sugar, cholesterol, triglycerides and blood pressure. No doctor needed. Plus, much, much more on beating this hidden health destroyer, yours FREE! In this must read Special e-Report, I reveal…. Why spending hours on a treadmills only weakens your heart, shrinks your lungs and makes your body make more fat. Forget aerobics! How to re-discover your natural fat burner. Want real strength? Stop lifting weights! Here’s a better way. Fight fatigue, maintain ideal body weight and turn the tables on aging. How to speed up results and sculpt your dream body. And much more on building a leaner, stronger, healthier body, yours FREE! 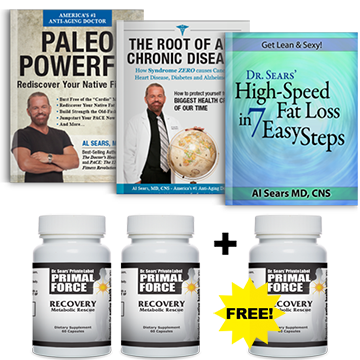 Dr. Sears’ High -Speed Weight Loss in 7 Easy Steps, a $19.95 value, yours FREE! The three big fat lies that keep many people from losing weight. The main culprit behind obesity. It’s not sugar! How to throw your “metabolic switch” and ignite high speed fat loss. How to use “good” fats for weight loss and anti-aging. Good life! Burn fat without exercising or changing your diet. Stay leaner longer but growing younger. And many more secrets for safe, natural accelerated weight loss, yours FREE! In all, your Best Deal order of RECOVERY: Metabolic Rescue includes special saving and FREE Gifts valued at $118.75. Many people wrongly think to enjoy healthy blood sugar… lose weight and slim down… and feel youthful energy they have to be near perfect. Eat the perfect diet (no sugar, no fat and give up all your favorite foods)… exercise like a maniac… and follow doctors’ orders to a tee. That takes a lot of dedication, hard work, time and money. And most people fall short! Now, with RECOVERY: Metabolic Rescue, you can keep your blood sugar, triglycerides and cholesterol healthy… slim down*… and re-energize your body the easy, safe, natural way. When you reset your blood sugar metabolism, you’ll be amazed at how your health will be transformed and renewed. You don’t have to be perfect to enjoy “perfect” health… with RECOVERY: Metabolic Rescue. Now, get all of these health-boosting herbs, minerals and nutrients in the new RECOVERY: Metabolic Rescue. You can try out RECOVERY: Metabolic Rescue with total confidence because your satisfaction is guaranteed — or you pay nothing! Guarantee No. 1: RECOVERY: Metabolic Rescue includes special herbs, minerals and nutrients and vitamins scientifically and clinically shown to reset your blood sugar metabolism — so you enjoy healthier blood sugar, youthful energy and easier weight loss*. 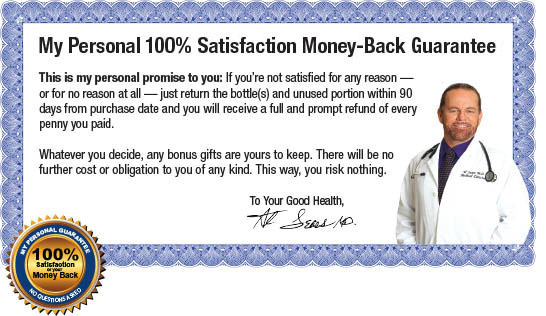 Your satisfaction is guaranteed — or your money back! Guarantee No. 2: RECOVERY: Metabolic Rescue delivers as many as 21 super health benefits, including healthy fasting, post meal and HbA1c blood sugar, easier weight loss*, curbing cravings, suppressing appetite, keeping insulin, triglycerides and LDL and HDL cholesterol healthy, protecting your heart and supercharging your energy. 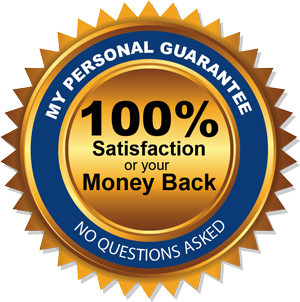 Your satisfaction is guaranteed — or your money back! Guarantee No. 3: RECOVERY: Metabolic Rescue includes 11 of nature’s most powerful nutrients to restore your blood sugar metabolism. Your satisfaction is guaranteed — or your money back! In fact, if you are not thrilled with the results of RECOVERY: Metabolic Rescue, simply return any bottles, used or unused, within 90 days for an immediate, complete and total refund — including shipping and handling — with no questions asked. And any FREE gifts are yours to keep. Your satisfaction is guaranteed — or your money back! So order today. Do you want to keep your fasting, post-meal and HbA1c blood sugar healthy the natural way? Slim down and lose weight*? Put an end to cravings for sweets and carbs? Keep your blood sugar, cholesterol, and triglycerides healthy? Flood your body with natural energy and vitality? Live free of worry of a health “disaster? If so, your first simple step is to order my new formula, RECOVERY: Metabolic Rescue and take it every day. As you’ve read, RECOVERY: Metabolic Rescue is the centerpiece of my “Health Blood Sugar Protocol” I use to help my patients. Now it’s available to you to help you beat “Syndrome Zero” and give you healthier blood sugar… easier weight loss*… rejuvenated, youthful energy… and super health, for life. P.S. Don’t forget, your Best Deal includes two bottles of RECOVERY: Metabolic Rescue at special 33% savings, a FREE bottle, FREE Special e-Reports and FREE Shipping — a total of $118.75 in savings and FREE Gifts. P.P.S. And remember, you won’t risk one penny thanks to an Unconditional, No-Risk, Money-Back Triple Guarantee. So order today, at no risk. BEST DEAL: “Best Deal”! Buy 2, get 1 FREE plus other FREE Gifts! 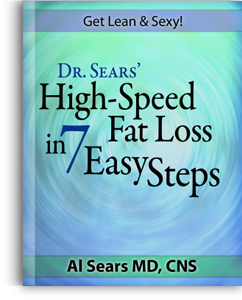 Dr. Sears’ High-Speed Weight Loss in 7 Easy Steps, a $19.95 value, yours FREE! Don’t forget! Order within 7 days for a special FREE Fast Reply Special e-Report, Dr. Sears’ High-Speed Weight Loss in 7 Easy Steps, a $19.95 value! 1. Ahmad, N. et al. “Effect of Morodica charantia (Karolla) extracts on fasting and postprandial serum glucose levels in NIDDM patients. Bangledesh Med Res Counc Bull. 1999 April 25. 2. Fuangchan A. et al. “Hypoglycemic effect of bitter melon compared with metformin in newly diagnosed type 2 diabetic patients.” J Ethnopharmacol. 2011 Mar 24. 3. Bamosa, A.O. et al. “Effect of Nigella sativa seeds on the glycemic control of patients with type 2 diabetes mellitus. Indian J PhysiolPharmacol. 2010 Oct.
4. Huseini HE., et al. “The efficacy of Silybum marianum (L) Gaertn (silymarin) in treatment of type II diabetes: a randomized, double-blind,placebo-controlled clinical trial.” Phytother Res. 2006 Dec.
5. Broadhurst, CL et al. “Insulin-like biological activity of culinary and medicinal plant aqueous extracts in vitro.” J Agric Food Chem. 2000Mar. 6. Khan A. et al. 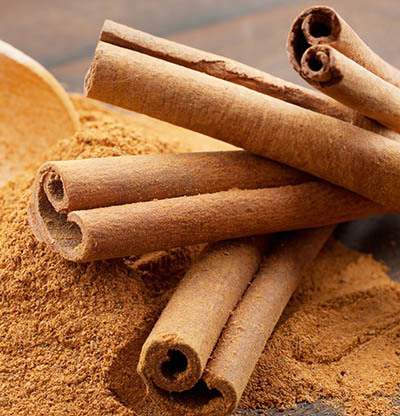 “Cinnamon improves glucose and lipids of people with type 2 diabetes.” Diabetes Care. 2003 Dec.
7. Maruthur, N. et al. “Early Response to Preventive Strategies in the Diabetes Prevention Program.” J General Internal Medicine. 2013Dec. 9. Wang J., et al. “Dietary magnesium improves insulin resistance among non-diabetic individuals with metabolic syndrome participatingin dietary trial.” Nutrients. 27 Sept 2013. 10 . Hurby A., et al. 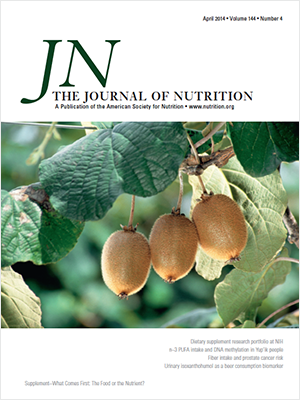 “Higher Magnesium Intake is Associated with Lower Fasting Glucose and Insulin with No Evidence of Interaction withSelect Genetic Loci in a Meta-Analysis of 15 CHARGE Consortium Studies1,2,3,4 The Journal of Nutrition. Jan 23, 2013. 13. Chuengsamarn, S. et al. “Curcumin Extract for Prevention of Type 2 Diabetes.” Diabetes Care, 2012 Nov.
15. Ghorbani, Z. et al. “Anti-Hyperglycemic and Insulin Sensitizer Effects of Turmeric and Its Principle Constituent Curcumin.” Int JEndocrinol Metab. 2014 Oct.
16. Moreira, PI. “High-sugar diets, type 2 diabetes and Alzheimer’s disease.” Curr Opin Nutr Metabl Care. 2013 Jul. 17. Barbagallo, M. et al. “Type 2 diabetes mellitus and Alzheimer’s disease.” World J Diabetes. 2014 Dec.
19. Baskaran K., et al. “Antidiabetic effect of the leaf extract from Gymnema sylvestre in non-insulin dependent diabetes mellitus patients.” J Ethnopharmacol. 1990 Oct.
20. Mohammadi M.T., et al. ‘Trophic Actions of Oral Vanadium and Improved Glycemia on the Pancreatic Beta-Cells Ultrastructure of Steptoxotocin-Induced Diabetic Rats.” J Pancreas. 2014 Nov 28. 21. Cusi K., et al. “Vanadyl sulfate improves hepatic and muscle insulin sensitivity in type 2 diabetes.” J Clin Endocrinol Metab. 2001 Mar. 22. Guerrero-Romeo F., et al. “Oral Magnesium supplementation improves insulin sensitivity in non-diabetic subjects with insulin resistance: A double-blind placebo-controlled randomized trial.” Diabetes Metab. 2004 June. 23. Ropelle E.C., et al. “Effects of different intensities of physical exercise on insulin sensitivity and protein kinase B/Akt activity in skeletal muscle of obese mice. Einstein (Sao Paulo). 2014 Jan-Mar, PMC 4898244. *Ideal weight loss includes healthy eating and regular exercise. #Use of these logos or covers is not an endorsement of this product.